SGHS DECA members will be hosting a "Trick or Can" food drive for local food banks for the remainder of October through the first full week of November. Donations can be dropped off at the SGHS office during regular school hours. 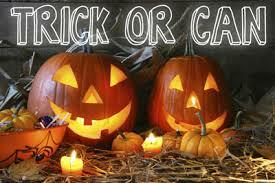 On October 31st, some of our DECA members will be "Trick or Canning" door-to-door in their neighborhoods.